I now have over 1,400 followers. 1,400 people who actually have agreed to see an e-mail from me every day in what must be already overloaded e-mail accounts. A grass roots movement that starts with the 1,400 loyal followers of this humble blog, Soul Gatherings. Nothing. Just knowing that there are others out there who believe in living in peace is enough at the start. My father always said “Keep the Faith.” Thank you for that inspiration, Ann! I’m in. Are you? World peace starts here. Thank you for your re-blog and support, David! One person at a time. Great idea. It’ll take time, but the foundation is solid. I’m in! 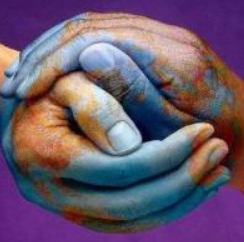 World peace starts with finding peace within each and every one of us. You are an inspiration Theresa! My thanks, Val, for your loyalty! I’m so so in! I posted a blog last week about FB not taking down hate pages, and i got a lot of comments on the evils of FB and how we should close our accounts. I like your approach better. Instead of just hating hate, let’s use social media to love peace. I can support this. I’m in. Beautiful piece Theresa. This I can agree with, sad when you feel you can’t post your feelings because someone might not agree with you. Not that I care…but if you don’t agree feel free to keep comments to yourself. Theresa you are a blessing to us all. I had to leave my country because of the war, my family and friends displaced all over the world. There is nothing more that I value more than LOVE and PEACE! On the second note: that photo with a boy and a cat is so inspiring. I’d like to paint it one day. Is the photo yours or do you know the source of it? Welcome! 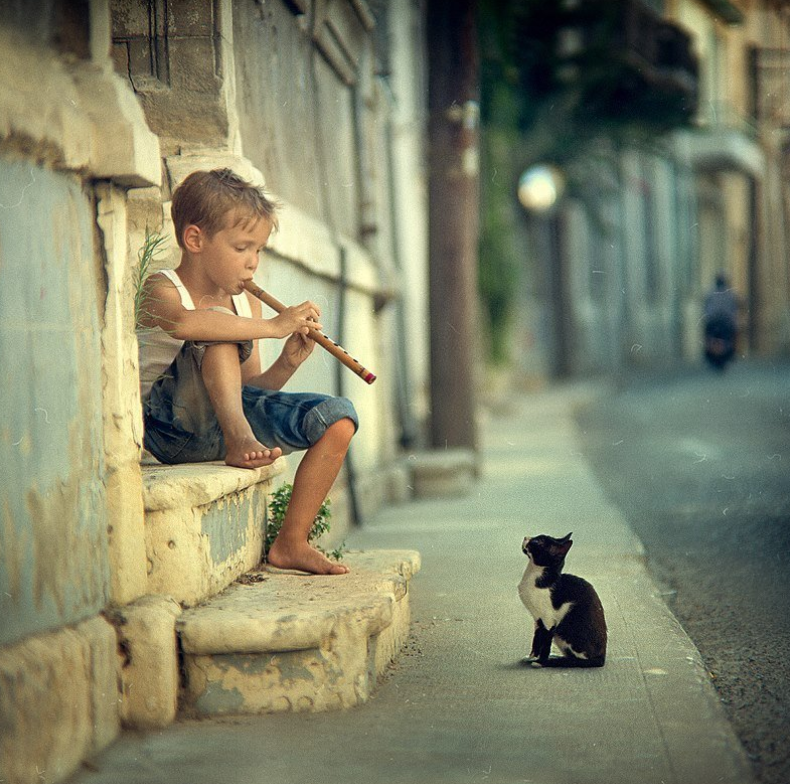 For the photo, goggle “boy with flute and cat” under aol images and it should come up. I’ve found that as diverse as each of us is, we have one universal commonality. Each of us has a restless heart. Although for quite different and unique reasons, the resulting effect is still the same. We are all in search of perfect peace that will calm our hearts. Yet the world and all its marvels has failed to satisfy this one fundamental need. I believe there we will find it. Such an interesting perspective, Alan. I’m in, in, in. :o) It’s refreshing to be a part of such a lovely movement. Thank you for the invite. Welcome and thank you for the support. Privileged to say yes ❤ Thank you for the opportunity, Theresa. Theresa, I am totally in!